Registration gets more expensive as we get closer to the big event! And spots in hotels close by are filling up FAST! So you don’t want to wait too long! Obviously if you have to wait, to be sure you actually can go, that’s smart because the cutoff date for getting any money back if you have to cancel has already passed! 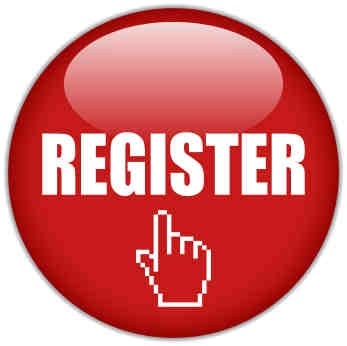 But make sure you register as soon as you possibly can! And make sure you get your hotel the same time! You can do this online or over the phone and a reputable hotel will never charge your card until you actually check in. Actually, most of them don’t charge your card until you check out! Yes that’s really all you have to read today. Don’t worry! I’ll be back tomorrow with more! 1) ACFW is a very big organization! This is considered the most important conference to attend – if you write Inspirational fiction or non-fiction anyway. And being the important organization it is, it encompasses so much more than the small local conferences we all attend. There are more authors to connect with – simply because there are three or four times the attendees. There are more editors – because they know that this conference is an excellent way to discover new talent. And there are more agents there – for the same reason – they know this conference is an excellent place to find new talent and there is no lack of potential new clients! 2) Going along with the reasoning above, this is your BEST opportunity all year to make connections! If you’re unpublished, this is THE PLACE to be! Not only could you meet your agent, publisher, editor or even all three! You could also meet your next critique partner, prayer partner, best friend, mentor or even a collaborator! So knowing what to bring is important – very important! There has been a lot of information and a lot of suggestions flying around the ACFW loops and I thought I would share a bit of it here with you. Business Cards – The general consensus is that you need A LOT of business cards to hand out. Some say you should have your photo on it so that anyone who you hand it to will remember you better. Some say you should make sure your phone number is on it so that agents or editors or friends can get in touch with you. Some say you should NOT put your phone number on it to be safe in this crazy world we live in. I actually have two business cards – 1 with my phone # and 1 without…NEITHER has my picture though. I got them from Vistaprint for a FABULOUS price and YOU can too! They have some wonderful deals! They even offer some FREE designs – all you pay is shipping! The bottom line is this – be happy with your design. If you don’t like it, you won’t want to hand it to anyone! But don’t spend so much $$ that you are hesitant to let go of any of them. Proposals – Many editors and agents are going paperless and even those that aren’t, might not want to drag home reams and reams of paper. So you might want to leave the full proposal to an E-mail for the conference. My suggestion is to go with a One-Sheet instead. One-Sheet – This is the new, most popular pitch tool it seems! The typical one-sheet has your contact information, the book cover if you have one, a blurb for your book – what you might expect to find on the back cover, a brief bio and your head-shot. Obviously you don’t have to have every single one of these. Not all of us are digital artists or are able to afford cover art before we’re published. And, while the head-shot is very important, I don’t think an agent would toss it back at you if you don’t have one on it. But you MUST have your contact info and a blurb on the book! Laptop – While you may not want to drag your laptop everywhere with you during the conference, it would be a good idea to at least bring it with you and leave it in your hotel room. You never know when someone will ask you to e-mail your first three chapter or a proposal or even the whole book to them. And while some people might prefer to wait until they’re home or at least back in the office on Monday, some of them just might want to take a look at it while they’re there and won’t you feel silly if you can’t send it to them? OK. SO we’ve already talked about what to wear. No we’ve talked a bit about what to bring. I’m sure we will re-visit this subject again because there has to be more.But you have enough to get started with. YES! There is still time to order business cards! GO find some you like and order them. They’ll usually get to you within a week or ten days. Good Day and GOD Bless! You wouldn’t want to get there and discover you’ve got three days of rain to deal with an no umbrella. Or a scorching heat wave and you packed sweaters and boots. 2) Even if the weather is going to be hot where you are, think about other contributing factors… If you are staying in the same hotel where the conference is being held, you may not go outside much during the actual sessions – and meeting rooms often over air-condition so bring a light sweater or jacket… just in case. Think about how often you will be in the hotel though. Don’t count on being inside the whole time and only pack warm clothes. You will have some free time and you’ll want to go out and explore! If Cindy Woodsmall invites you out of the hotel for coffee (make note that there is a Starbucks right there in the hotel – smart on ACFW’s part I think! ), you don’t want to say no because you know you’ll be a puddle before you finish the first cup. 3) Think about the events of the conference. For example: the ACFW conference kicks off on Thursday evening with a Genre dinner. This is where attendees can dress according to their genre if they wish. It’s fun but the business-casual attire you bring for the regular sessions may or may not fit into your particular theme… Also, the business-casual attire you would want to wear for the rest of the conference might be a little too casual for the big awards dinner on Saturday night so keep that in mind as well. On this note, I will say that it is clearly stated in the conference general info that dressing up for your genre is 100% optional. And if you choose not to dress up, don’t skip the dinner – there will be plenty of other authors who choose not to dress in costume or whose genre doesn’t really lend itself to a costume. Also I should note that, while the Gala dinner is a fancy affair, ACFW has specified that they do not want ANYONE to miss it because they don’t have a fancy evening gown or tux so the dress code is anything from Sunday dressy – Evening wear. I’m thinking that means no jeans, no shorts, no flip-flops but a nice dress or blouse and skirt (or a nice polo and khakis for the guys) should be good enough. Also, there is A LOT you can do to dress up an outfit. Wear a sparkly scarf or a bedazzled belt (sorry guys – no idea how to suggest you dress up your outfits but then…guys usually look pretty dressy if they wear loafers – penny or no – so go with that). So bring the fancy heels but save them for the Awards Gala and wear the comfy shoes to your sessions! 5) Remember where you are! Yes, quite a few of the authors in ACFW write Amish fiction. No, we don’t expect you to show up in Plain dress. And you know… even if you’re applying this information to a future conference you attend, it’s never a good idea to show up to a meeting with an agent sporting a plunging neckline – you’re trying to sell a book after all and if the agent is distracted by your charms, how can you dazzle him with your fabulous book idea? There they are. I hope these tips help with your packing. No excuses like “I have nothing to wear…” will do. You have a month to shop. Get to it! Today marks the start of my countdown to the 2014 ACFW conference. Exactly one month from today, we newbies will be walking into the special session for first-time attendees! Thank you so much for knowing how much we need that – ACFW! Only an organization started and run by Authors can know how terrifying it is to walk into your first conference and have no idea what you are supposed to do. What if I missed something? What if I’m dressed wrong? What if I don’t know where to go? Yes these are just a few of the nightmares that plague me. I have been to several small conferences but absolutely nothing on the scale of ACFW and nothing where I actually had the opportunity to walk by or sit next to any one of absolutely dozens of authors I simply adore at every single session/ meal (unless you count the AWESOME Melanie Dickerson – who sat next to me at several sessions and meals at the small conference I went to in Mississippi last month… but, to be fair, she kind of knew me already and she didn’t know anyone else so that was just a huge blessing!). As a matter of fact, there were a couple of big names at my first conference – just not dozens of them everywhere I turned. At any rate, we will be posting regularly over the next month with tips and ideas for anyone attending the 2014 ACFW conference. And anyone who isn’t attending can always use the tips for future conferences they do attend. and some of that much-needed encouragement. – Many authors say their first novel will never see the light of day. Was that the case with you… is there a “first” book you’ve written but not published? My first book was a Western historical romance that hasn’t been published yet. I would really like to publish it because I think it’s really good! However, knowing what I know now – especially about the craft of writing – I can see that the book would need extensive rewrites before I would even consider sending it to someone. – What major differences could you tell us about in regards to Kensington and Summerside Press? Kensington is a lot bigger publisher so they have a very specific and time-tested process to get from first edits to publication. Every editor is different. My editor at Kensington believes in less editing, more letting the author tell the story the way she wants to. My editor at Summerside was more hands-on, which was a very good thing because my first book needed a lot of rewriting! – Would you mind sharing with us how many rounds of querying you went through before getting that all-important “YES!”? I probably queried 15 agents about my Western historical and got rejections from all of them. I connected with my agent through another agent at a writers conference. It was a serendipitous match. – How much (if any) of your second book did you have completed before you signed a contract for the first? – Do you have any special tips or hints you would like to share with struggling or novice authors out there? The biggest mistake I see new authors make is not learning their craft. You must learn how to write well or it doesn’t matter how many Facebook likes you have. Learn your craft. Read with the intent to study how good writers write. Practice your writing every day. And don’t give up! out of a very busy schedule to answer these questions for us. And I hope all of you have found this as inspiring as I have! And you can find more on her WEBSITE. There are three Amish romances in the Forever After in Apple Lake Series (Summerside/Guideposts). Kate’s Song, Rebecca’s Rose, and Miriam’s Quilt are all now available. 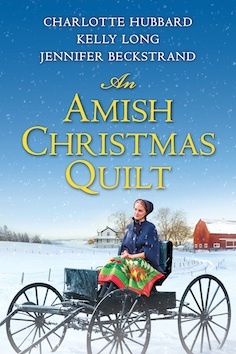 I have six Amish Romances in the works with Kensington Books. The first and second books, Huckleberry Hill and HuckleberrySummer, are now available in stores and online. The Matchmakers of Huckleberry Hill is set in northern Wisconsin Amish country. The series, The Matchmakers of Huckleberry Hill, is about an elderly Amish couple who try to find suitable mates for their grandchildren. What could be more fun than throwing two young people together to see if sparks ignite? No one would ever suspect two octogenarian Amish folks of mischief. 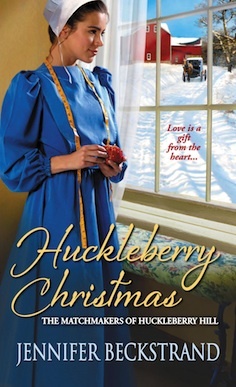 Romantic Times gave Huckleberry Hill 4 1/2 stars and chose Huckleberry Summer as a TOP PICK. Don’t miss the first two books in this series: Huckleberry Hill and Huckleberry Summer! And watch for Huckleberry Spring and Huckleberry Harvest – COMING SOON! The expected course of Kate Weaver’s life is baptism into the Amish church and strict observance of the Ordnung. 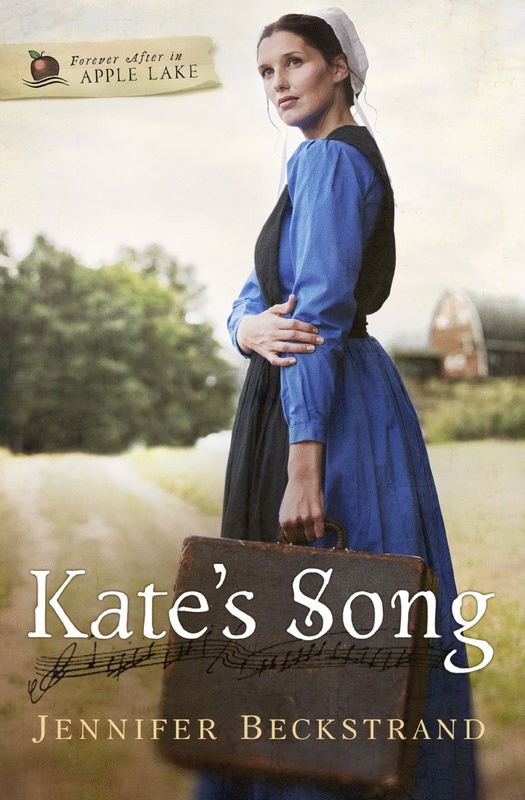 But Kate is blessed with a beautiful singing voice, and when another path leads her to the academy for vocal training, she struggles to understand God’s will for her life. She returns home after a violent encounter with a fellow student, and though she is drawn to the peace and devotion of the Amish lifestyle, could her calling forever separate her from the people and the way of life she holds so dear? Nathaniel King has never wavered in his commitment to the community and the Old Order Amish Church into which he is baptized. Secretly in love with Kate, he is devastated when she leaves the community to attend the academy. When Kate returns, will she finally make his most profound hopes a reality, or will she break his heart all over again? And DON’T MISS this wonderful collection of stories from our favorite authors! SO MANY GREAT BOOKS COMING SOON! 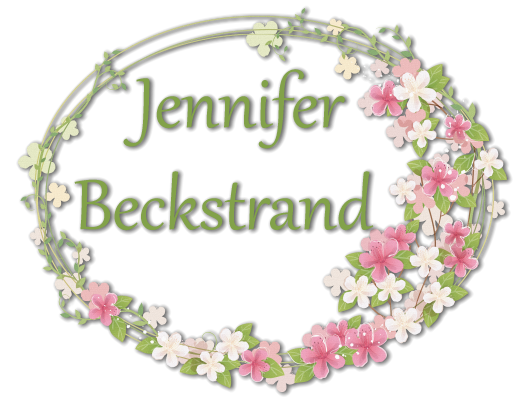 Jennifer Beckstrand is a true inspiration to me and I consider her a valued mentor! She could have balked when her agent presented the idea of writing Amish fiction but she didn’t. She dug in her heels and got started! I admire her so much for that! GOD BLESS YOU JENNIFER! And may you continue writing for years and years to come! Ask An Author Part 1 | Answers from Jennifer Beckstrand & Vannetta Chapman! For this part of “Ask An Author”, I asked 5 questions to different authors. On your business cards (if you have them), do you put your phone # or just e-mail, Facebook, twitter, etc…? Just email and Facebook. I still have some older ones left, but my next business cards will include my Twitter account. If you have another “business” – such as editing services or book reviewing, do you have separate cards for that or list everything on one card? I don’t have another business, except for mom and grandma. When preparing for a conference, what do you typically take with you as far as your current WIP (work-in-progress) – just a proposal, a one sheet, the first 3 chapters printed, the full MS, synopsis, etc…? All of the above? How important do you think it is to have an agent? Do you consider them to be more a representative of you… or your work? I think it’s extremely important to have an agent. She represents me and my work equally. With social media taking over so much of promotion, how much of your appearances or book-signings are done through your publisher and how much is completely on your own? Book signings are on my own. My publisher arranges guest posts on blogs. I will occasionally arrange to do a post on a blog on my own. – where she will answer even more questions for us. My business cards list my webpage, Facebook, twitter and pinterest on the BACK. On the front is a small picture I had designed which also has my webpage, and what types of books I write. I never put my phone number or physical address on a business card. When preparing for a conference, what do you typically take with you as far as your current WIP – just a proposal, a one sheet, the first 3 chapters printed, the full MS, synopsis, etc…? All of the above? If it’s a Christian conference (like ACFW), then the one sheet will do just fine. If they want more, they’ll ask you to mail it to them. I think it’s very important. I write in several genres and for several publishers, so it has been very helpful for me. Very few of my book signings are done through my publisher. They take care of store placement, ads, etc. But anything I set up with libraries, reading groups, etc. I do myself. I have done book-signing tours through my publisher, and also have gone to ALA through my publisher. to both of you for taking time out of your busy schedules to answer questions for us! And may God Bless You Both! I hope you have all found this as helpful as I have! WE HAVE A WINNER! 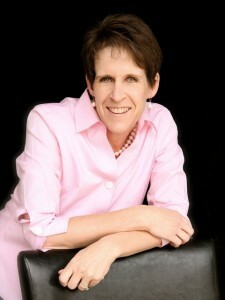 | Who has won “A Mother’s Secret” by Amy Clipston? | COME SEE! You have won a copy of “A Mother’s Secret” by Amy Clipston! I will be contacting you by e-mail with instructions on how to claim your prize! Watch for more in the days to come!